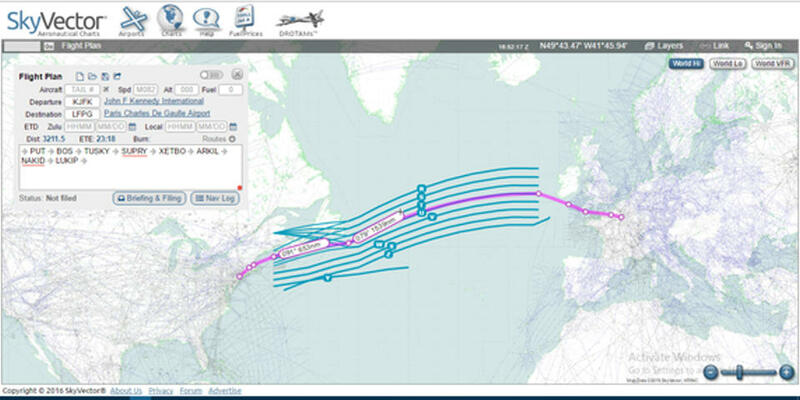 Q TRAVEL – Let’s look at it this way, you a passenger, what would you prefer flying New York to Paris for 7 hours and paying approximately $1,500 or flying the same route for 2 hours and paying $15,000? In general people would rather prefer flying for 5 hours more rather than shelling out an extra $13,500. But that’s just the tip of the ice-berg, yes we actually haven’t really progressed much in terms of speed but there are a lot more factors to be taken into consideration. Block Padding can be best described as manikin a relatively short flight seem longer by adding time to the actual flying time, for example if a flight from London to New York takes 6 hours, takes off at 1200GMT and lands at 1800GMT, airlines today would market the flight as taking 7 hours would set departure time to 1130GMT and arrival time at 1830GMT this way even if the flight is delayed, passengers get the feeling that they are arriving ahead of schedule and are generally happy with the airline. the route is marked in Pink. 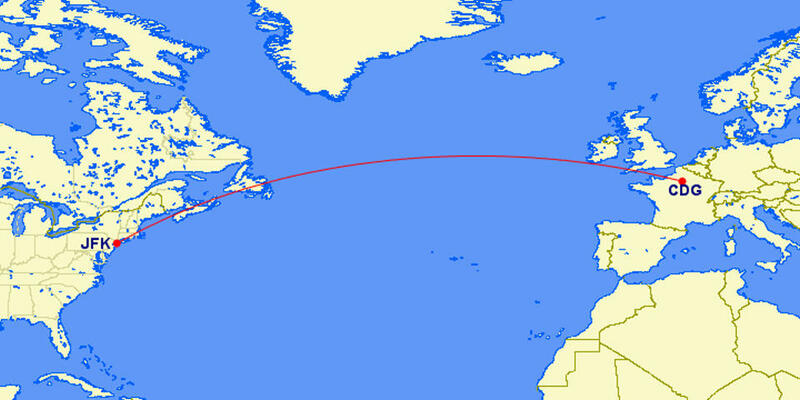 All of these combined create an illusion of air travel actually being slower. Aircraft manufacturers like manufacturers of any other product rather manufacture what their customers(the airlines) need rather than what they think would be right, the present trend in aviation has been to cram more passengers into a plane and maximize fuel economy and weight, airlines hardly care about advancing much in speeds. Also developing a newer technologies to go faster and break the speed the speed of sound costs a hell lot of money, Research and Development aren’t cheap by any means. Heck, the Concorde cost £1.134 billion to develop that’s around $13 billion today. Aircraft manufacturers just aren’t ready to invest so much and risk their profit margins. If history has thought us anything, one of the major trade-offs for speed is fuel economy the Concorde was a fuel guzzler and airlines hated that they weren’t making much profits and rather preserved saving fuel rather than time. 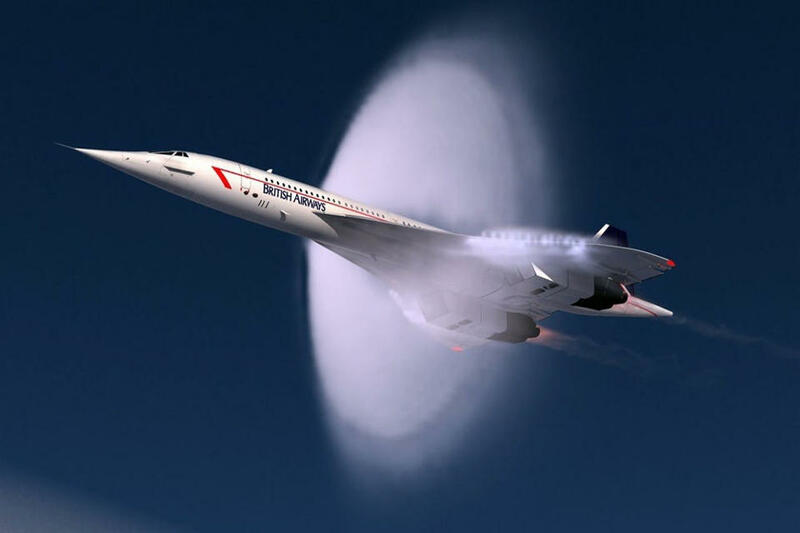 A lot of cities and countries have noise abatement rules, and if one hopes to go faster than the speed of sounds, he’s bound to break the Sound Barrier and that causes a supersonic boom, and they’re really loud, this was the reason why the Concorde was limited to flying supersonic only over the oceans. Just by looking at how low budget airlines like Ryan Air and Easy Jet are pumping cash one can understand that in general passengers prefer to save cash over any thing else, the only people who would want airplanes to fly faster and wouldn’t mind the trade-off for cash would be business men, and that represented a very minor percentage of fliers among airlines, so in general airlines just weren’t interested.